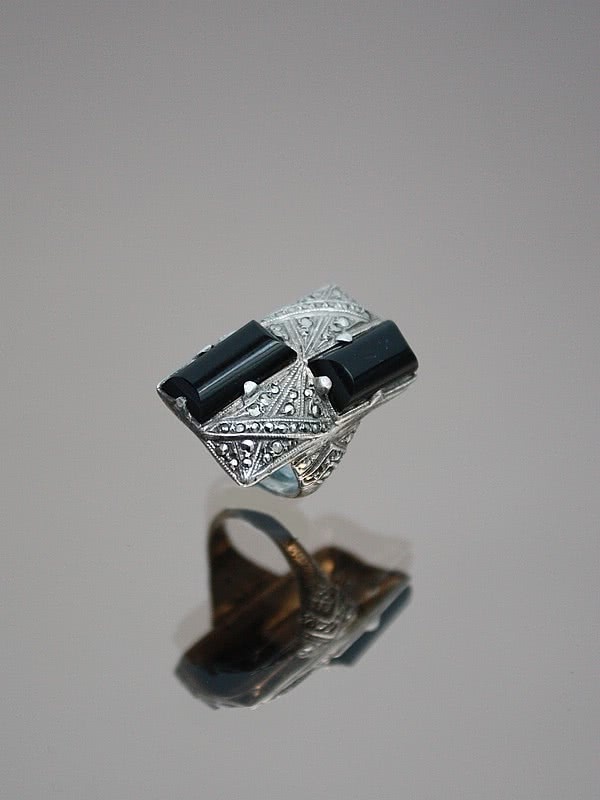 An Art Deco sterling silver, marcasite and onyx ring Germany circa 1920s. Click on the links below to take you to our social pages and Guest Book. UK and Berlin based. We are happy to help you find the item you are looking for but sorry, we do not provide valuations. Would you like to be kept up to date with our New Arrivals?